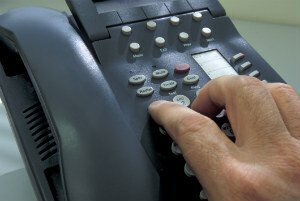 If youre desperate enough to mislead your prospect just to get a return call, maybe its time for a new career. Last week, I was working at my office and received the following voicemail message: “Hi, it’s Dan. I was just looking at your website and I’m interested in learning about your training.” As you might imagine, I returned this call pretty quickly. During my previous encounter with Dan’s company, one salesperson missed a scheduled online demo, while the other called me “Rick” in her voicemail and email. This, combined with the fact that Dan had left a misleading voicemail simply to get a return call, resulted in the conversation going downhill fast. I despise salespeople who use manipulative tactics to get appointments or return calls. In my opinion, individuals such as this one give professional salespeople a bad reputation. Misleading people to get them to return calls is not an effective long-term strategy—and, as my experience showed, not even an effective short-term strategy. You might get a return call, but it’s going to be really tough to earn your prospect’s trust and close the deal. Do yourself a favor: Be honest, open and direct in your prospect communications. Otherwise you’re just wasting their time—and yours.